Welcome to the OLS Eighth Grade Home Page. My name is Ms. Lisa Ross, and I will be the 8th grade Homeroom and math teacher. I will also be working on the yearbook with your children, and will also help with graduation. I hope that we all can work together to make the last year for your children at Our Lady of Sorrows Catholic Academy a memorable one. Homework will be posted online. 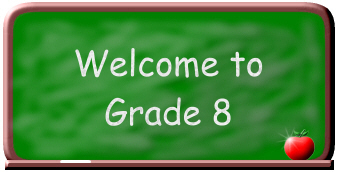 Click on the link (on the right-hand side of this page) titled “8th Grade Homework” for a list of assignments. Should you have any questions, feel free to email me. Click on the “8th Grade Homework” page to get your Summer Homework assignments. Have a wonderful summer break! See in you in September!